How are Auslan-English Interpreters Employed? How Do I Become an Auslan-English Interpreter? 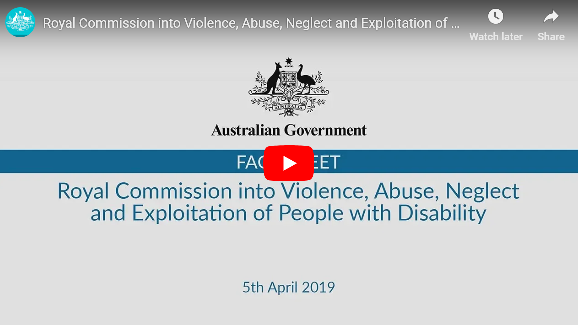 On 5 April 2019, the Prime Minister, the Hon Scott Morrison MP, and Minister for Families and Social Services, the Hon Paul Fletcher MP, announced the establishment of the Royal Commission into Violence, Abuse, Neglect and Exploitation of People with Disability (the Royal Commission). This announcement follows a public consultation on the draft Terms of Reference for a Royal Commission into Disability from 13 to 28 March 2019. Consultations were held with people with disability, their families and carers, disability peak bodies, advocates and with state and territory governments. The Government received over 3,700 responses to the online survey on the draft Terms of Reference. Thirty per cent of respondents were people with disability. The final Terms of Reference are available below. A stand-alone website for the Royal Commission will soon be established. The website will provide information about how the public can engage with the Royal Commission, including how submissions can be made, and when and where hearings will be held. To keep updated in the meantime, please continue to visit this website and the Attorney-General’s Department website. You can also subscribe to receive updates below or contact the temporary hotline number on 1800 880 052 Monday to Friday from 9am to 7pm AEST. If you are currently experiencing any form of violence or abuse, or are concerned for your safety, call 000 or contact Police. Copyright 2018 Association of Sign Language Interpreters.